Hello guys, long time from the last fun event. Let's start getting once more in the racing mood with some fun events. 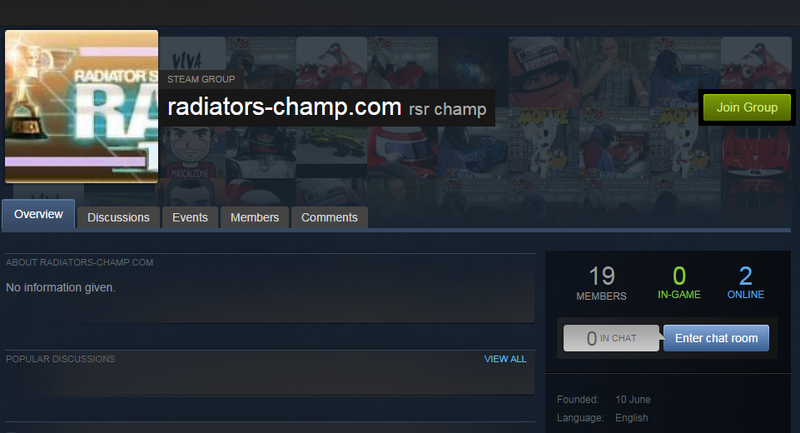 We've created a steam group called radiators-champ.com Please join it. We will be on the steam voice chat here on this group to coordinate activities. Just click on Enter chat room to join the chat. Please add a comment on the event itself if you want to race with us.